Posted by Mitchell in Art, Zen Magnets. This was a fun one to put together. It’s a copy of another build by a much more experienced dude who goes by the monicker of Yoyobandelor. I have a link to his original construction on youtube. If you like this kind of stuff you should definitely check his videos out. Technical details: 3,300 balls, about five inches in diameter, and weighs in at about 3.5 pounds. Now it’s time to rip it up and make something new. 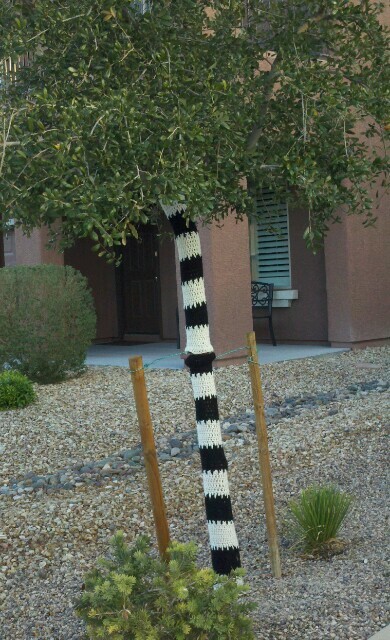 Posted by Mitchell in Art, Yarncraft. I’m debating whether or not to do the support poles too. Posted by Mitchell in Bad Times Ahead, Science & Technology, Strange & Unusual. It takes 2,400 magnet spheres to make this one (a little more than 11 full sets) and a few hours. The smallest base unit is a folded 30 ball triangle that I thought of in a dream a few weeks ago. Pictures really don’t do justice so I made a short video. Enjoy!